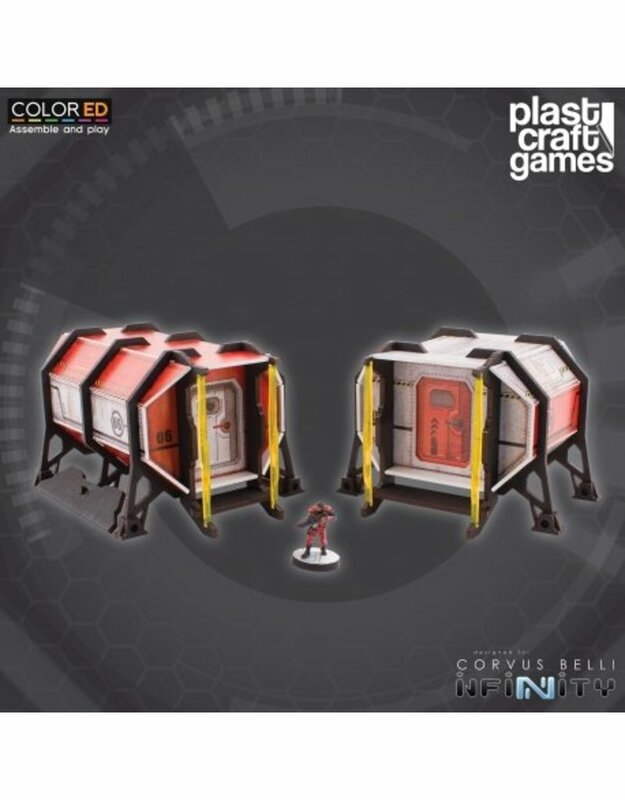 The Supply Depots are two pre-colored buildings designed for Infinity. They can be also used with any other futuristic aesthetic 28-30mm scale game. 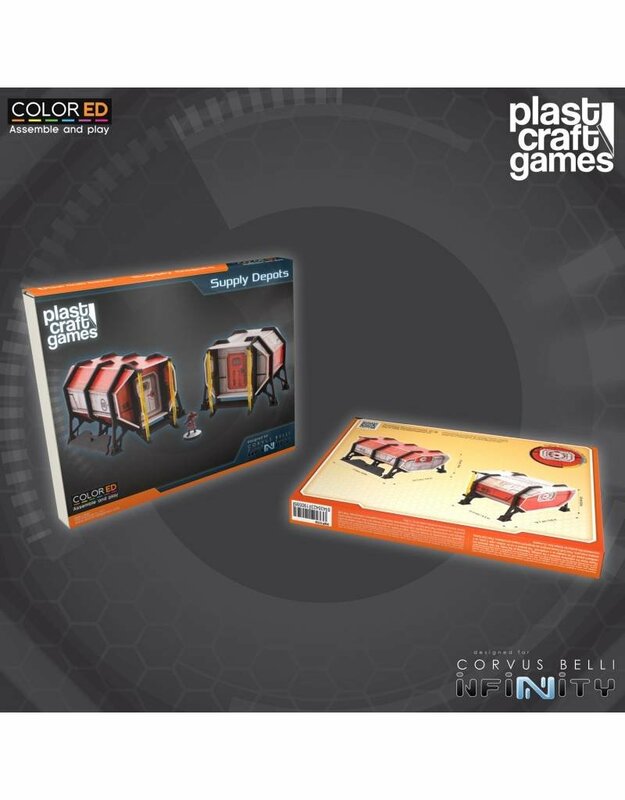 The Supply Depots come in a pack that includes a set of individual pre-colored pieces. Some of the pieces come in a PVC sheet and you will need to cut the connections that fix them to the PVC sheet. 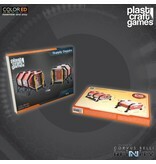 Assemble the different parts by following the assembly instructions that can be found on this link: http://plastcraftgames.com/en/content/6-assembly-instructions using cyanoacrylate glue or a similar one.